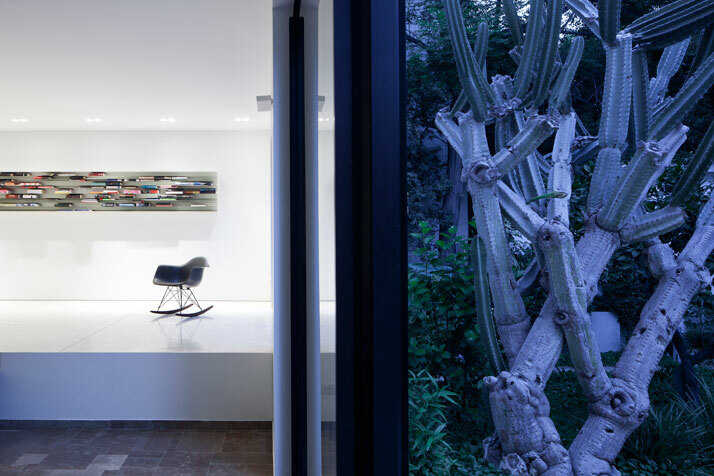 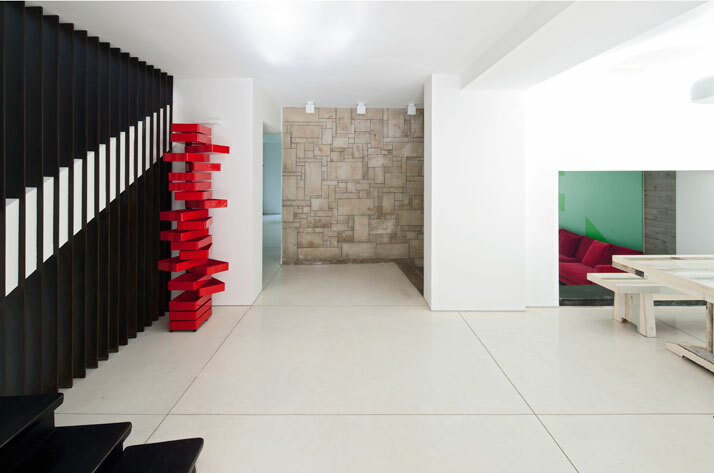 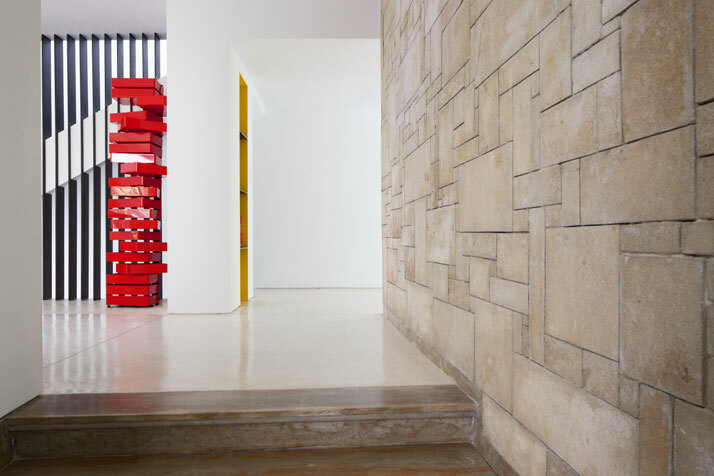 Tel-Aviv-based Pitsou Kedem Architects’ latest project is the renovation and reconstruction of an urban villa originally designed in 1951 by Ukrainian-born Israeli architect Dov Carmi who is known for introducing the International Style to the Israeli architectural scene. 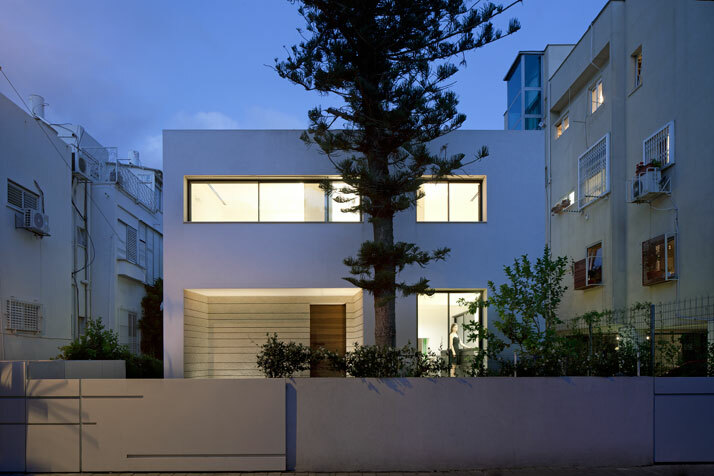 Pitsou Kedem and Noa Groman of Pitsou Kedem Architect have previously showed us their flair and talent in renovating Israeli properties. 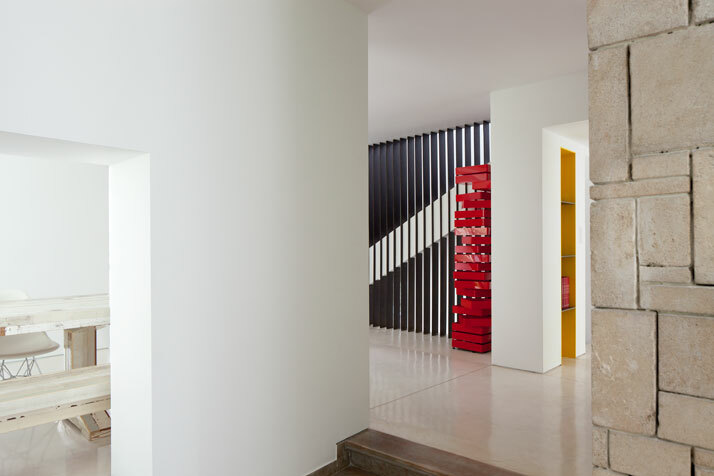 This time, they have preserved the spirit of Carmi's original structure, successfully maintaining its modern, minimal and above all, unique lines. 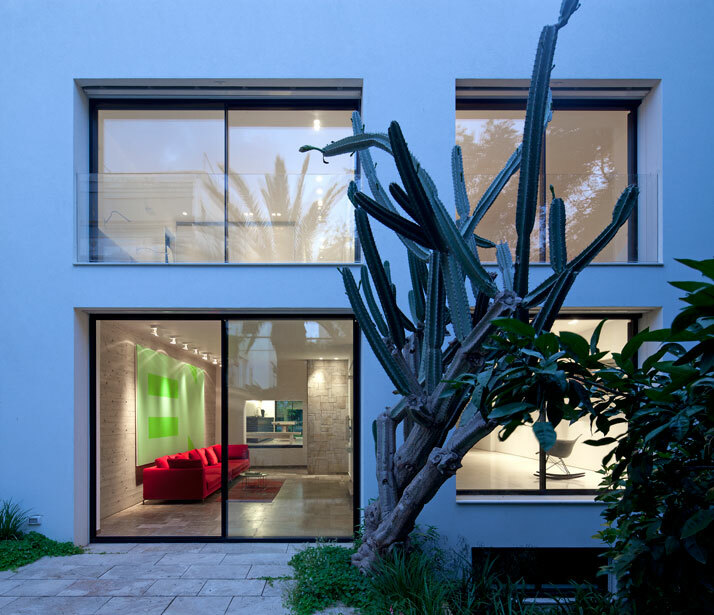 photo © Pitsou Kedem Architects. 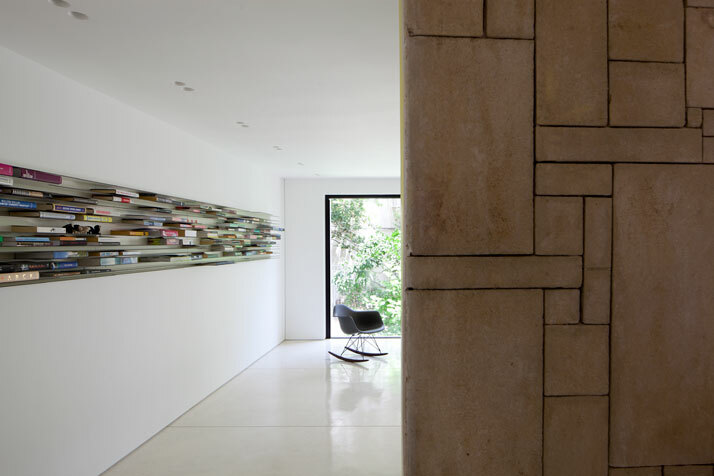 The linear character of the entire building is highly recognisable throughout. 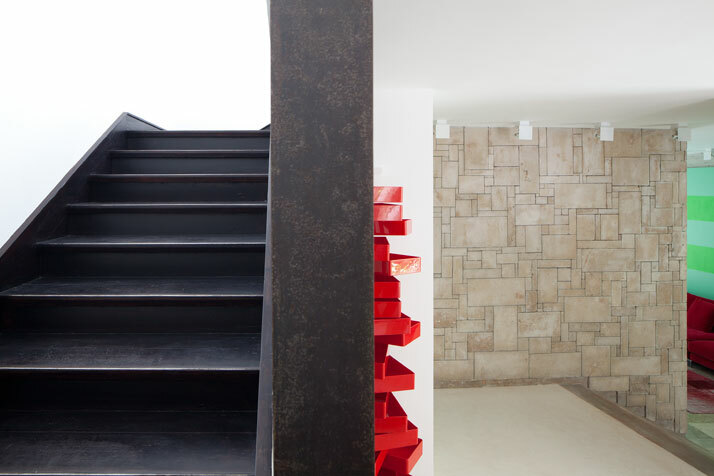 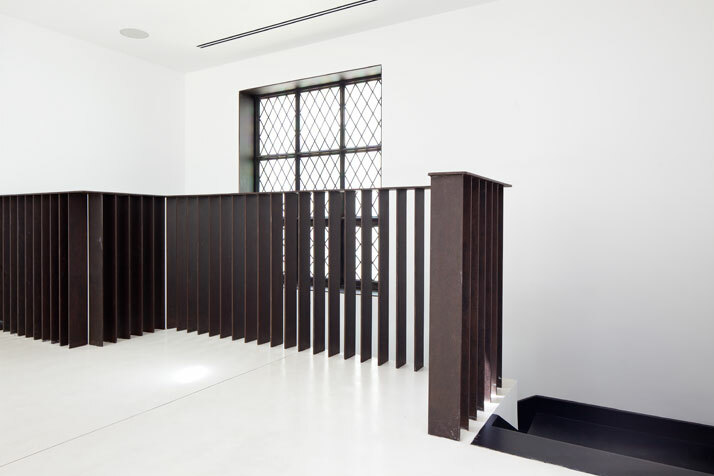 Inside, the metallic vertical construction next to the staircase which leads to the upper private spaces, flirts with the iconic 70's revolving RED Shiro Kuramata chest of drawers. 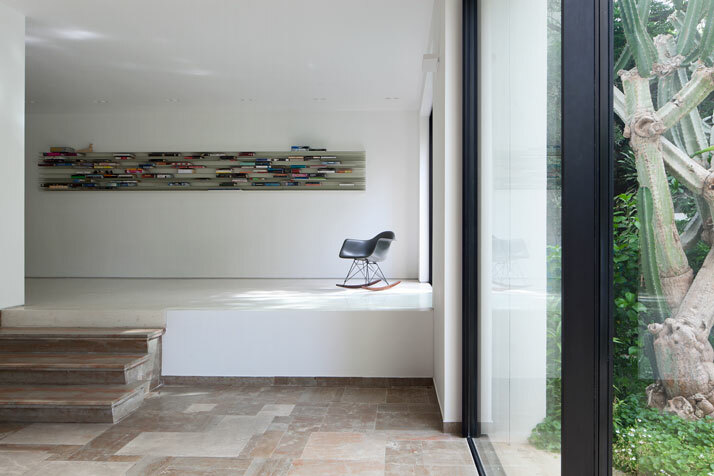 Outside, the horizontal slit on the sliding street door is in perfect coherence with both the black lines of the rectangular window frames as well as the wood grain of the main entrance. 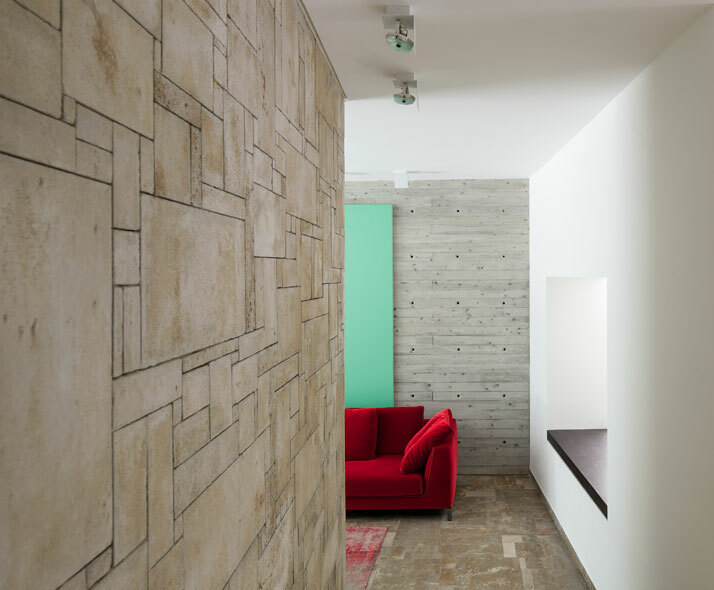 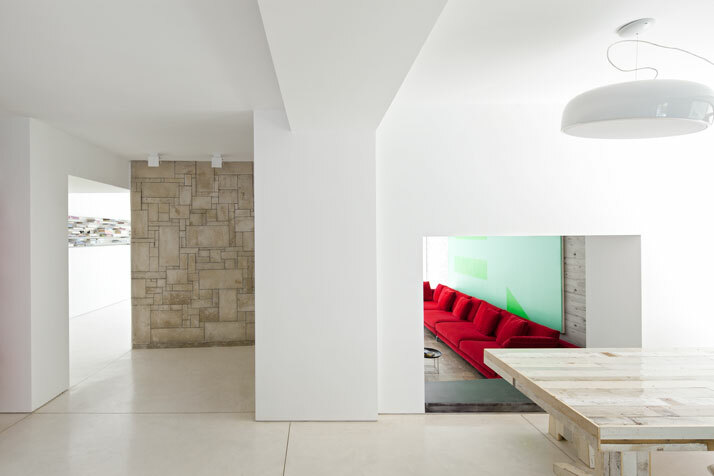 The architects maintained the unique range of materials throughout the 370 square meters of space; from the central wall dividing the living and dining area made of hewed and coarse sandstone constructed in a unique Mondrian-ish composition, to the wild, natural limestone floor in the living room. 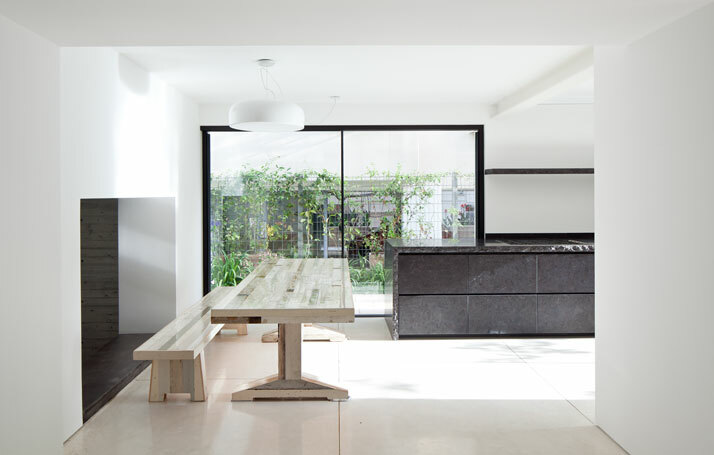 As for the furniture selections, the Rocking Chair by the American duo Charles and Ray Eames and the scrapwood bench and table by Dutch designer Piet Hein Eek complete the general design experience while enriching this bright and urban villa’s overall ''International Style''.